This notice applies to the following corporate entities (“Companies”). It is relevant to Customers using SiteSpect software (“System”) who conduct business with End Users that are citizens of the European Union (“EU”), and are thereby governed by the EU GDPR in effect as of May 25, 2018. The Companies are committed to meeting all EU GDPR requirements. The Companies have a comprehensive and mature Information Security program and are committed to the privacy and security of its Customers’ data. Any information processed through the System is securely handled, solely accessed by authorized personnel, and treated as confidential. The Companies implement and maintain appropriate technical, security, and organizational controls to protect all personal data against unauthorized or unlawful processing and use, and against accidental loss, destruction, damage, theft or disclosure. It is each Customer’s obligation to obtain End User consents. The Companies do not operate the web site or digital property that its Customers’ End Users interact with, and therefore do not display any consent notices. To opt-out an End User from any data collection, the Customer should set the SiteSpect ID cookie to zero. This cookie is by default named “SSID”, unless you have customized your configuration. For example, to opt-out a user, the Customer would provide a web page instruction to the End User which sets cookie “SSID=0”. End Users have the right to request that you delete any historical data you have stored about them. To delete End User data, please submit a request to helpdesk@sitespect.com with a list of End User identifiers (SiteSpect ID cookie values) and/or End User IP addresses. Your request will be processed within fifteen (15) calendar days and you will receive a confirmation response when it’s complete. In its default configuration, the System is configured to prevent the capture of any personally identifiable information. However, to perform its intended function, the System has the capability to read specific End User information. Due to the sensitivity of some of the information processed by the System, the Companies maintain compliance with the Payment Card Industry Data Security Standard (PCI-DSS), which requires preservation of audit logs for at least one year. The Companies will not retain data longer than is necessary to fulfill the purposes for which it was collected or as required by applicable laws or regulations. The System has the capability to report aggregated data, which is subject to strict access controls and encrypted when processed and transmitted. The Court of Justice of the European Union ruled, under Case 582/14, Patrick Breyer v Germany, that IP addresses are “personal data” in certain circumstances and stated IP addresses would only qualify as personal data if the relevant individual provides additional details to the website operator (e.g., name, email address, etc.) in the course of using the website. The System does not store such additional user details. End User’s browser agent-string: is supplied by the End User’s browser and provides information related to the Customer’s website information about the browser and operating system. SiteSpect ID: is an anonymous, randomize identifier that is generated for each user device and stored as a cookie. SiteSpect has implemented an optional feature within the SiteSpect service that prevents the collection of full End User IP addresses, which under certain circumstances may be considered personal information (PII) under the GDPR. This feature is OPT-IN and not enabled by default. Please note that enabling this feature will (1) prevent IP-based segmentation in the SiteSpect’s reporting feature, and (2) delete the left-most two IP address numerical values (e.g. x.x.0.0) that are shown within exported campaign data or downloaded web traffic log files. SiteSpect customers wishing to enable this feature, or having any questions about our support for GDPR compliance, should contact the SiteSpect Help Desk at helpdesk@sitespect.com. 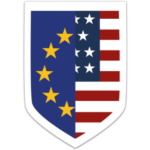 The Companies have further committed to refer unresolved privacy complaints under the Privacy Shield Principles to an independent dispute resolution mechanism, the BBB EU PRIVACY SHIELD, operated by the Council of Better Business Bureaus. End Users who do not receive timely acknowledgment of their complaint, or if their complaint is not satisfactorily addressed, may visit www.bbb.org/EU-privacy-shield/for-eu-consumers for more information and to file a complaint.